It baffles me why people are sucked into spending so much money on exfoliating scrubs when they’re incredibly easy to make using ingredients you’ve probably already got in your home or garden. The variations you can make to the basic recipe are endless. Flower petals, buds, essential oils and fresh herbs all work beautifully and stay well preserved for months in the oil and salt. 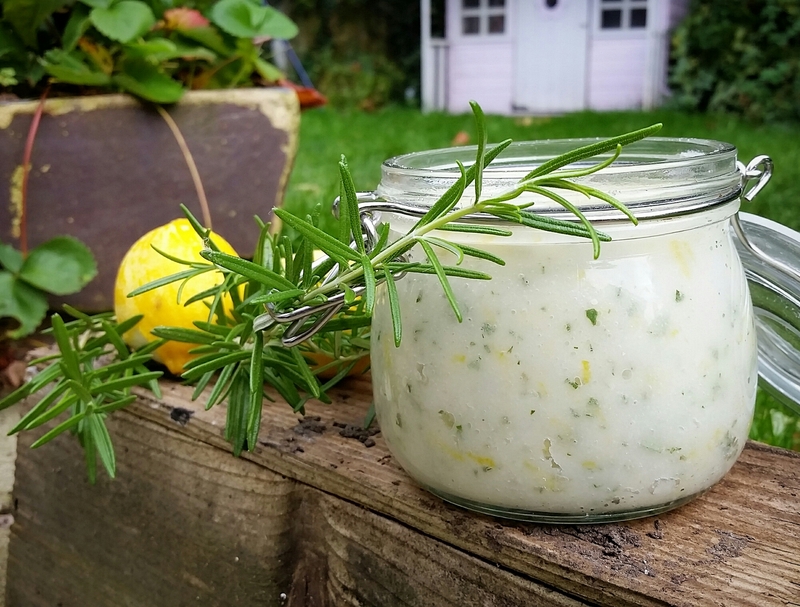 I used a blend of fresh rosemary from the garden and the zest of two large lemons in this one. Rosemary is known for its astringent and antiseptic properties and also contributes to skin elasticity helping prevent premature aging. Lemon on the other hand has been used for centuries as a natural skin brightener as well as bring great for cleansing and toning. Approx 300ml olive oil, or oil of your choice. And the zest of two large lemons, chopped finely. All you need to do is mix it all together and store in a 500ml jar making sure you’ve got enough oil to just about cover the salt. So easy! In terms of applying it, I highly recommend standing in the shower or bath on a flannel or hand towel to prevent slipping (remember there’s oil in there!) and rubbing into dry skin in circular motions before rinsing. Your skin will be bright, smooth and the oil will sink in leaving it lovely and soft too. Perfect! I can hardly believe almost six months have passed since my last post. Summer came and went in a whirl and here we are enjoying some of the best autumn weather we’ve had for a few years. Crisp mornings, crunchy leaves underfoot and that rich, low sunshine we only get this time off year. 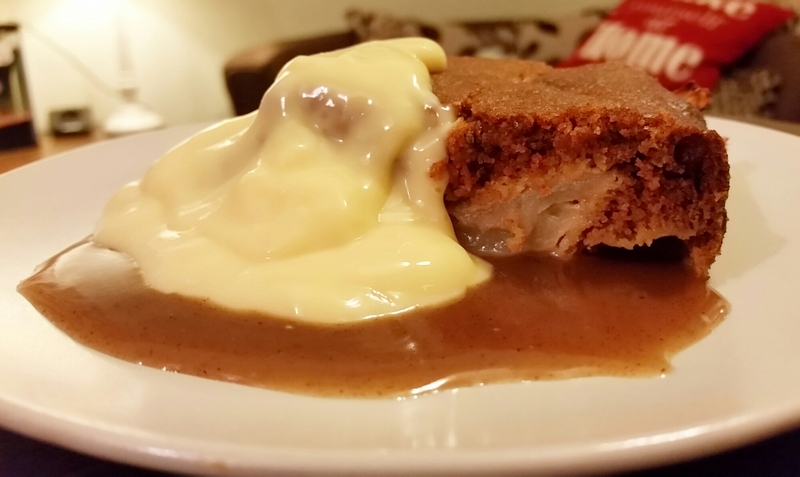 Perfect for hearty warming comfort food and this twist on Eve’s pudding certainly fits the bill. 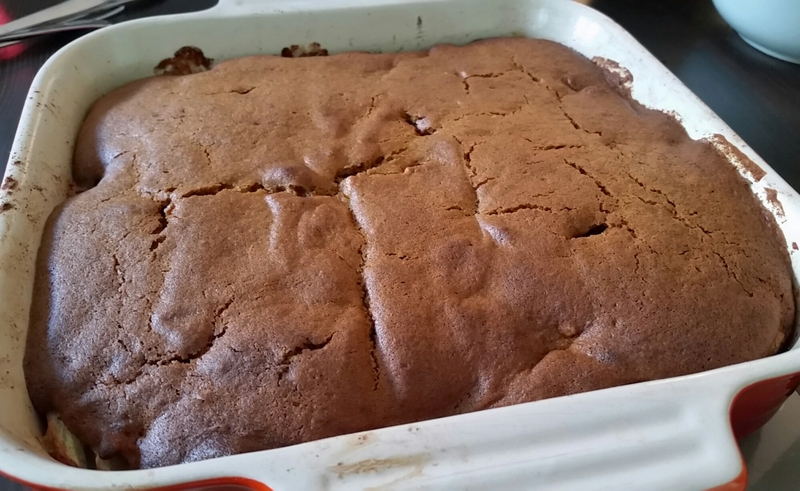 A total mash up between three of my favourite flavours, apples, pumpkin spice and toffee, you’ll have to have some pretty impressive willpower to resist seconds of this indulgent treat. Pumpkin spice mix made by mixing 3 tbsp ground cinnamon, 1 tbsp ground ginger, 1 whole grated nutmeg and half a tsp ground cloves. Put the squash in a bowl with a splash or two of water. Cover with cling film and microwave on high for 5 minutes. 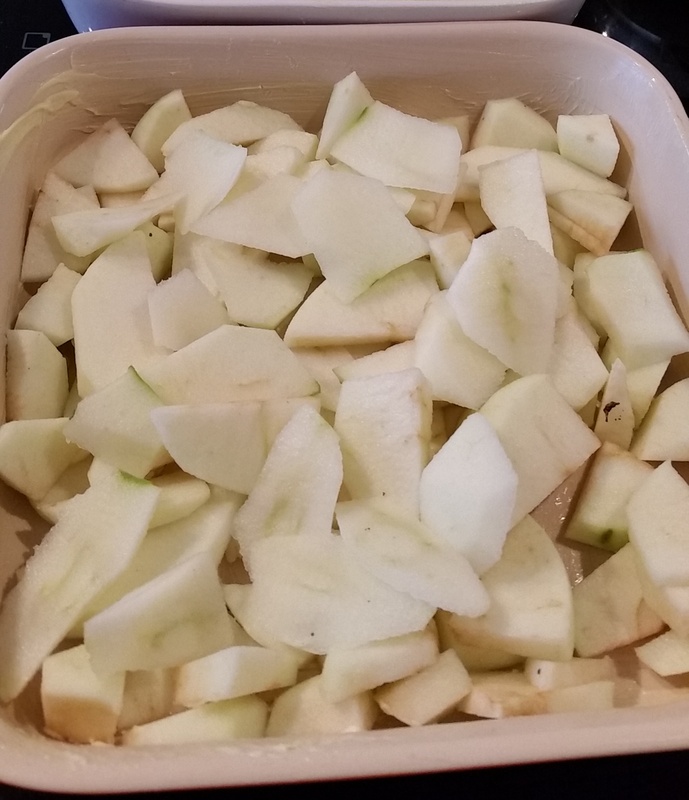 While it’s cooking grease a large oven safe dish and put the apples in the bottom. Sprinkle with a teaspoon of the spice mix. 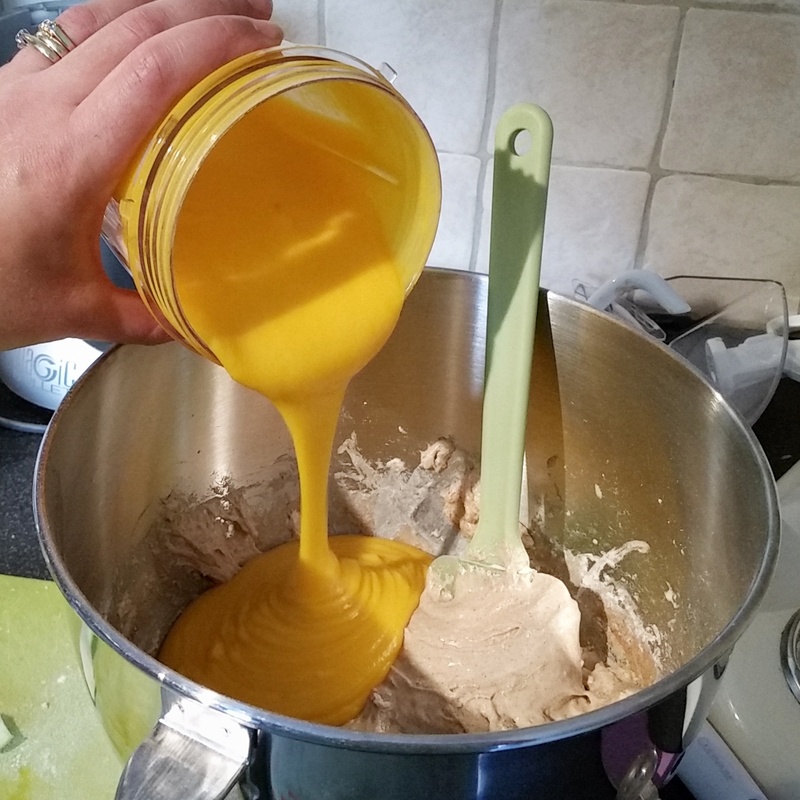 Whisk the eggs and sugar together until they are the same consistency of a thick milkshake. By now the butternut squash should be tender. 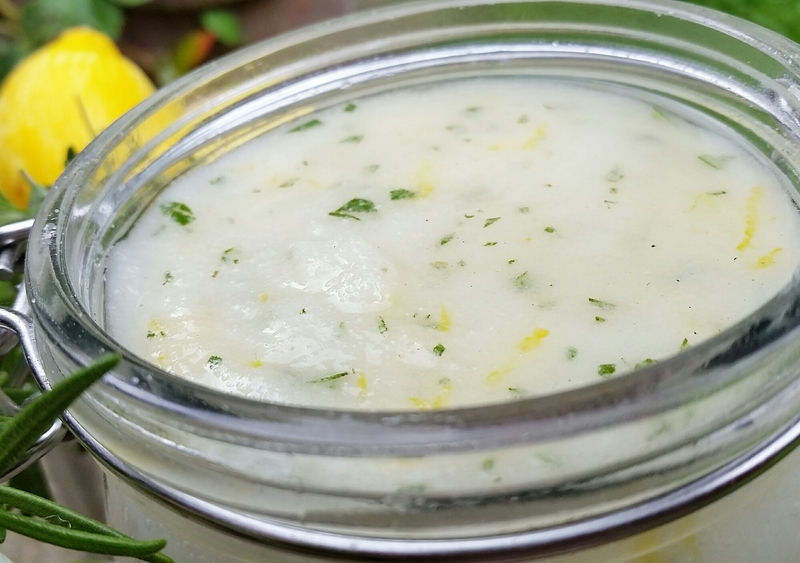 Put it in a blender with the oil and whizz until you have a smooth puree. 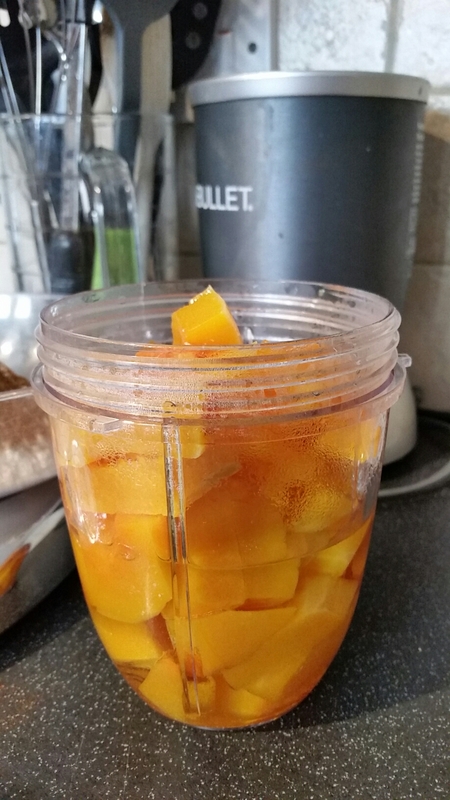 I used my nutribullet which works a treat. 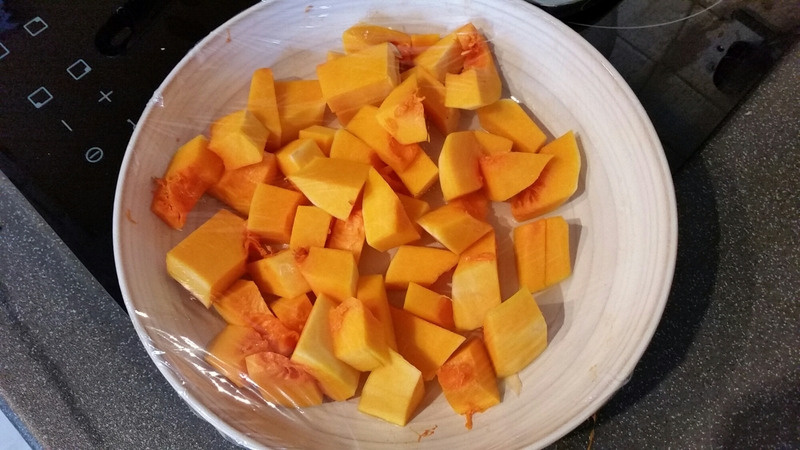 Fold the flour and bi-carb along with 1 rounded tablespoon of the spice mix into the eggy milkshake before gently folding through the butternut puree. Pour the mixture on top of the apples and bake at 160oC (fan) for approximately 50 minutes until a skewer comes out of the cake clean. 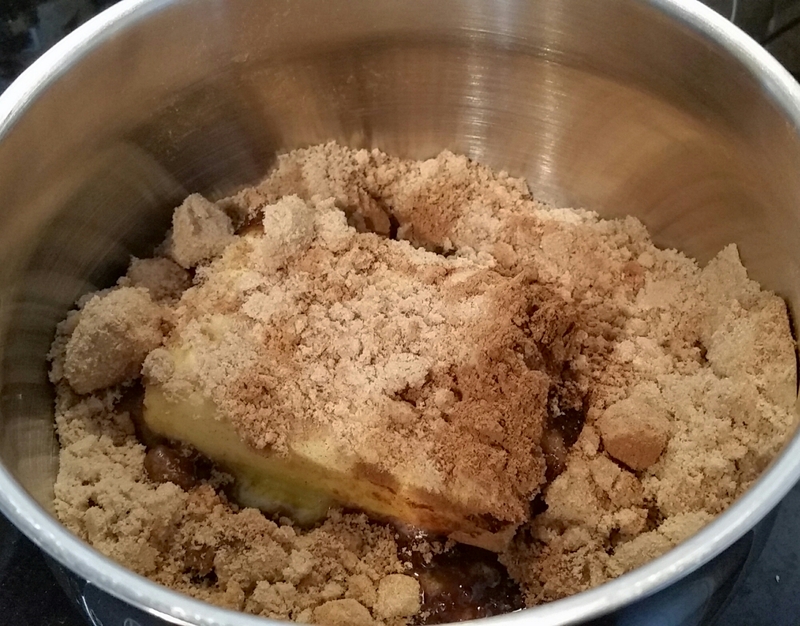 To make the sauce, melt the butter, sugar and spice mix together until totally combined then pour in the cream stiring constantly. Serve with custard and the toffee sauce! Divine!